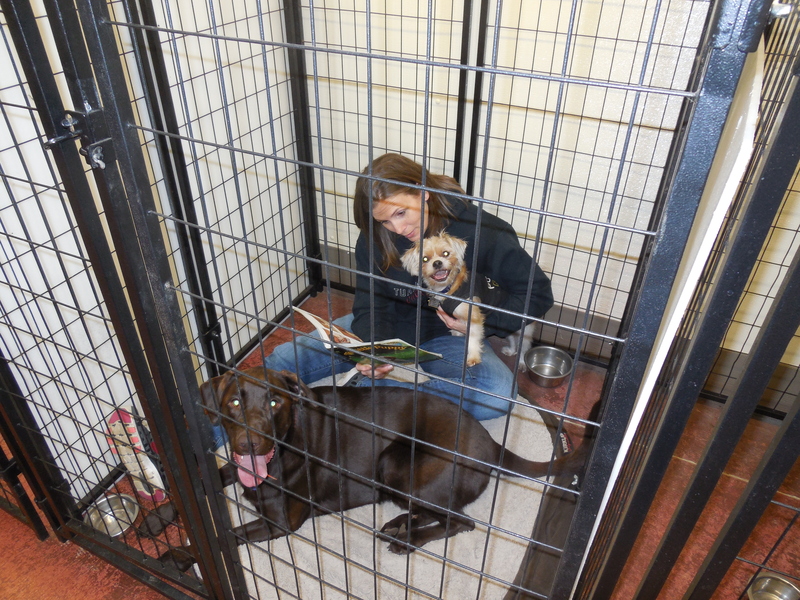 Story Time…with Ranger and Hank. I enjoy the down time at the end of the day to just settle down and read. Not sure why I thought of doing the same thing for one of our kennel guests tonight. I figure I would take a book out to them and try it. Olivia choose the book…The Little Puppy. She thinks they would enjoy a book about about themselves. I guess it is kind of like we humans check out People magazine to look at other humans. Every time I sit in a doctors office, I seem to always gravitate towards the magazines about people and their so called lives over the Better Homes and Gardens. So I went out and gave it a canine reading whirl after our 8:15 evening dog run tonight. I’m not sure why I thought everyone in the kennel would just quietly lay down and listen right along. It took them a minute to get over this big person sitting in their space…but after licking my ear off etc. They settled in right at the end. After all… the story was VERY exciting! I don’t see a book being the way to go the next time some late night entertainment sounds like a good idea. I will plan a big screen event staring…. Lassie! With popcorn and red vines for me…bacon for my friends. I’m sure these dogs won’t even know who Lassie is…he was WAAYYYY before their time. Just like me making my kids sit through….Sixteen Candles or The Dukes of Hazard.